Etanne is a Whitmore School student who lives in Urguary. When she is not doing her school work, Etanne and her mom manage a dog and puppy rescue organization in Urguary. 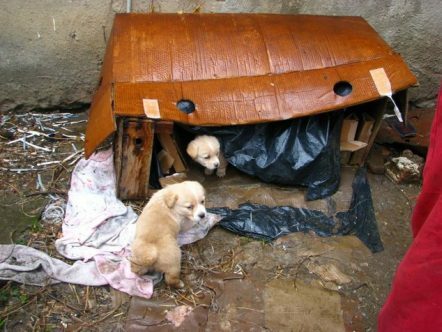 They try and save as many homeless puppies as they possibly can. Here is an example of a typical rescue for these two incredible women. Etanne and a healthy happy puppy waiting for its new home. A while ago, Etanne and her mom took in a little dog, they named him David, after a man who donated puppy toys to the shelter. Unfortunately, David had parvo, a very dangerous virus. Etanne shared, “This virus can live in the soil for two years, infecting any other puppy that walks there”. David had to be contained in a separate part of the yard outside. He had a fever and they took him to the vet immediately. Luckily, in the morning, his fever was down and the infection was past the incubation period. David is now safe and healthy! 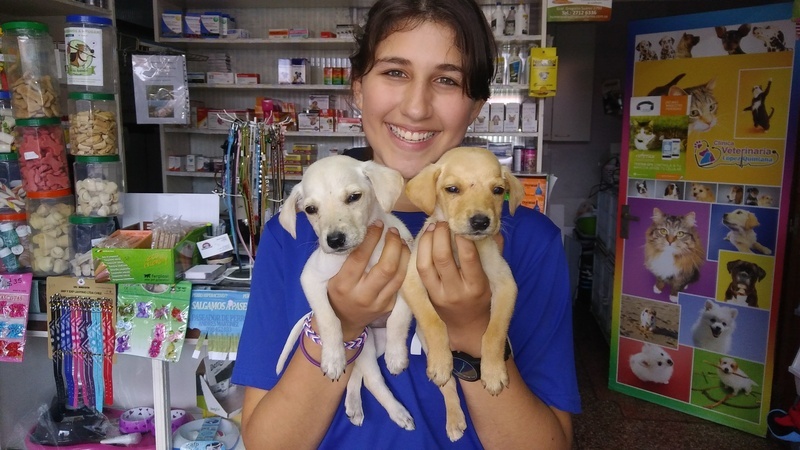 Etanne says her daily duties are: building shelters, taking dogs to and from castrations, teaching them how to be successful in their new homes, giving them medication, cleaning them up and feeding them. Etanne also manages the Facebook page so she can find good homes for the dogs and receive donations so they can keep helping these animals. Rescued puppies needing a new home.